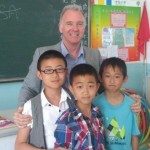 Teaching in China can be a very rewarding and life enhancing experience. If nothing else it will be memorable. Teaching English in China is an amazing experience, you get to witness a fascinating culture, sample delicious cuisines, indulge in an adventurous and sometimes exciting lifestyle and learn more about Chinese culture and customs than if you were just a tourist. Foreign English Teachers are well respected in the community and you can expect a competitive salary, (you are ‘well paid’ by Chinese standards) and it often includes a variety of benefits, depending on the type of school or contract you land. Even though salaries in China lower, than in other parts of Asia, the cost of living is also much lower, so teachers can expect to live well or save a significant portion of their salary. 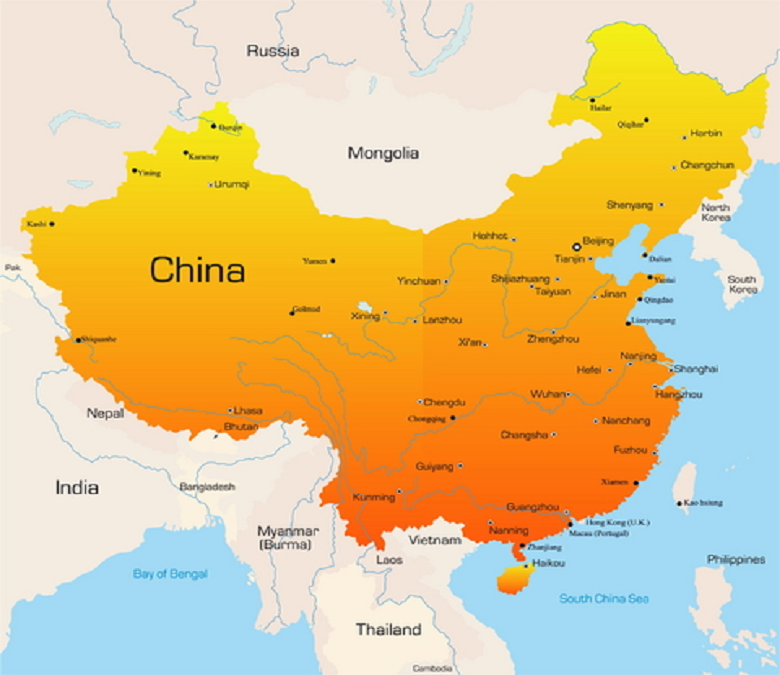 Typically teaching in China takes place at privately run language schools, public schools, International High schools, or private international schools and universities. (The majority of those studying English are school age). The number of English schools in China runs into the thousands, with some schools operating hundreds of branches across the country, so the quality of education ranges, as does the quality of jobs. But demand for Foreign English teachers is increasing. Universities and international schools usually offer the best working conditions for teachers who are serious about their work, but not necessarily the best salaries, although they do offer accommodation benefits and visa sponsorship. With these types of positions applicants with the right qualifications and experience, can expect to receive numerous employment offers and good contracts. However, be aware that there is a large proportion of private ESL institutions, which are considerably less legitimate in nature. These schools will hire English teachers with one, basic requirement: “a white face” and the ability to speak English. I have personally been working and teaching English as a foreign language in China for more than five years and have taught in many schools ranging from kindergartens to universities, so I am well placed to give you good advice. I remember in my first year teaching, way up north in Changchun, a smaller third-tier city of only 8 million or so, where it would go from,-37 in the winter to +37 in the summer and the snow would last about eight months. But the plus was, that you never really had any rain because it would just snow instead. During the coldest parts of winter, the windows on the buses would freeze up on the inside and you couldn’t see out due to the thick frost. So, in order to know where to get off, I would have to count the stops and mark them off by scratching marks into the frost on the windows because I didn’t understand the announcements in Chinese. Then you had to be carefully getting off as the ground was really slippery and sometimes there would be a pile of people, who had fallen over getting off the bus. It was kind of like dismounting a ski lift at a ski slope. Then one morning you would wake up and there would be blossoms on the trees and the snow was gone and it’s summer and it’s was like a different place. There just as you were getting use to the new surroundings and thinking that the climate wasn’t too bad as the summers were nice and warm, suddenly the next morning there would be snow on the ground again. Which is nothing like living in Shanghai, where getting down to freezing is a bit of a shock for them! Another thing you needed to watch out for was the snow plows that would decide to plow the streets while you were waiting for the bus and the entire bus stop would get covered in snow, as would you if you didn’t get out of the way. They do that in Shanghai too, but with water, whenever they wash down the streets. The trucks will just come past, spraying water and you will get wet, if you don’t get out of the way. But as a city Shanghai is great, its very international and you can get western type food almost anywhere and there are lots of foreigners there. It’s not really China though, and if that was your only experience of being in China, you haven’t really experienced China. The competition for jobs is a bit tougher (of course) as are the rents, as its large and popular city (24 million people) and the turnover rate is high. But very easy to get around using the Metro and taxis and even rental bikes. It’s not just about the ‘interesting‘ weather in the North-East of China. I want to ensure teachers who come to China will have their expectations met, enjoy a safe, stable teaching experience and have a comfortable lifestyle and don’t have too much of a culture shock, because believe me, many things are different, in China. You have to see it to understand what I’m talking about. For this reason, before coming to teach English in China, I want to give you some information, in order that you will have a better understanding of what teaching English in China actually involves and to avoid becoming one of the 20 percent that leave before completing their contracts. In fact many teachers who come to China are not even aware they could be ‘unintentionally‘ breaking Chinese law and could easily be banished from the country, accused of working illegally and not be entitled to receive any compensation whatsoever. Many native English speakers, wanting to be English teachers in China often have their contracts and job placement handled for profit by a third-party agency. These agencies earn a commission for each teacher placement and sometimes they employ teachers on business visas (and even on tourist visas) rather than the legally required work visas. This is because the potential gains from having “native speaking /Western faces“ is so high that the benefits for employing ‘foreign teachers‘ outweigh the risks of being caught for hiring them illegally. Some agencies even offer contracts to foreign teachers, who do not qualify for work visas and instruct potential teachers to lie on their visa applications in order to get them teaching jobs, solely so they can decrease their costs by as much as 40 percent by avoiding taxes, fees and other benefit payments. There is a black market for unqualified English teachers in China. So it’s important to make sure you have the correct documentation, such as a Foreign Expert Certificate (as shown below) and the appropriate work Visa. China’s history is vast, and encompasses many different historical elements and has business practices that are different from what many from the west expect. Anyone contemplating Teaching in China should be aware that some ESL jobs advertised are known to change once the teacher arrives at their placement. This also includes the type of school, class size and location. Contracts in China are not really contracts rather they are ‘only offers of enticement’ and employment conditions and pay can be varied by the employer and the Chinese legal system provides little redress for foreigners. As the ‘rule of law‘ is not part of the Chinese legal system. In fact recently, the Supreme People’s Court in China, ruled that foreigners working illegally in China have no ‘labor relationship‘ with the employer, and therefore. “Without a labor relationship, any foreign national working illegally has no access to arbitration.” In other words the Chinese legal system will not help you. Requirements vary from province to province, although cities like Beijing and Shanghai require a minimum of a bachelor’s degree and either two years of work experience or either a TESOL (Teaching English to Speakers of Other Languages) certificate or a TEFL (Teaching English as a Foreign Language) certificate. Without this fundamental requirement foreign teachers can not legally work in China and without a Z visa, they are not entitled to receive any salary. This doesn’t mean that you won’t be offered a job or receive payment. It just means you are vulnerable to exploitation and manipulation. Getting the appropriate working Z Visa involves dealing with the Government and is initially issued by a Chinese Embassy and is a requirement before entering the country to work. Most employers will help you facilitate this process, and it usually takes a few months. However once you have your initial Z Visa then renewal is a straightforward process and can be undertaken from within the country. Getting either a TESOL (Teaching English to Speakers of Other Languages) certificate. Or a TEFL (Teaching English as a Foreign Language) certificate is a whole lot easier and can pretty well be done from anywhere and there are numerous options. The majority of employers require job applicants to have at least a 120-hour TEFL / TESOL certificate or a 250-hour TESOL/TEFL Diploma, depending upon your previous teaching experience. Typically these courses are open to anyone aged 17 or over who is a native English speaker or a fluent speaker of English and can usually be completed online and at your pace. I have graduated from and recommend the International TEFL and TESOL Training (ITTT) program as it provides a wide variety of practical, high-quality, online TEFL courses and certification options. I found them to be one of the few online course providers that offered ongoing job support and guidance for no additional cost. Which was extremely helpful when deciding which countries to go to, in order to teach English overseas. (I selected China, but your options are numerous). But most of all I prefer them because course graduates are awarded an internationally recognized and accredited qualification. They also offer worldwide job guidance and life-long teaching support as well as other career services, something very few other providers do, and they are available in most countries. If you decide to use them you will find that all the online tutors are very experienced, friendly, and very supportive. Find more about their program here. According to the new work visa policy, the border entrance work permit and foreign experts work permit have now been streamlined into one system. Only foreigners with a passport from the UK, USA, Australia, New Zealand, Canada and the Republic of South Africa are native speakers. 2. All others are considered as a non-native English speaking countries. For native speakers, they should have the original of bachelor’s degree or above. For non-native speakers, they should have the original of Bachelor’s Degree or above in native English speaking countries. NOTE: According to the new visa policy in China, both groups will need to provide a certificate of authentication in China or their country. The original and copy of the CELTA /TESOL/TEFL/Certificate. Resume content includes the education since high School and work experience which should be accurate to the month and uninterruptedly describe until now. Over 2 years of actual work experience, which means you should work experience of more than two years since graduation in your own country. A letter of recommendation would be a good thing and such a recommendation letter must be on the former company letter-headed paper, and include your work experience, work start date to ending date, and your employer’s signature. It must be issued by the official sector of the country where the applicants comes from. Notice: Native speakers who hold a tourist visa or a business visa can apply for a work visa in Beijing if they reqiuire a working permit. You don’t have to go back to your own country to apply for it. The immigration people were being very aggressive and were checking all the documents of foreign teachers after the child, of the Chinese Deputy Minister of Education was found being taught by a fake English teacher (supposedly from America, but really from the Ukraine). So, a crusade had been launched by the Chinese government to track down, arrest, and deport the estimated 10,000 ‘fake’ teachers estimated to be working in China. All the foreign teachers who got rounded up, had to resubmit all their documents and then get copies of their qualifications notarised and verified by their respective Embassies. They were examining closely all visas and work permits looking for forgeries, as these had been discovered in other instances. Fortunately, I was ok, but others were not so lucky, but it as still an inconvenience and a stressful experience, so make sure you have all your paper work in order. China has a lot to offer. There is a wide variety of well-paying English teaching jobs in different cities and regions in China. If you are interested in learning more about their culture first hand while making a difference in the lives of students, then I encourage you to discover how you can begin this exciting and memorable adventure. 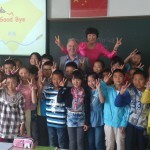 Teach English in China and be apart of one of the fastest changing countries – in the world. One of the reasons for the high demand for foreign teachers in China is that all schools and universities are required by the Ministry of Education to expose Chinese students of English, to a ‘Native English Speaker‘. So the hiring of native speakers, to front the classroom is considered a ‘necessary business expense’. Also Chinese parents expect to see foreign faces (preferably white faces) at fee charging private English schools. So, regardless of the type of school, foreigner English speakers are typically hired to facilitate the students’ listening and speaking skills. The actual technical aspects of the English language are undertaken by Chinese English teachers, who on the whole do a pretty good job. Also Kindergartens and private schools, pay the highest money and give you the shortest teaching hours. So if you are thinking of Teaching in China, there are only two broad categories of foreigners who should even be thinking about teaching English in China. The first are those who are relatively young and are seeking an adventure in a foreign country before settling down. The second are those who are close to, or ready to retire, have no significant family ties or obligations, and are looking for a unique cultural adventure in a country where the cost of living is still relatively low. So if you fit into either of these two categories, are a native English speaker, are light skinned, from the United Kingdom, North America, Australia, South Africa or New Zealand, have a pulse and can walk and talk, then you can quickly find a job teaching English in China. 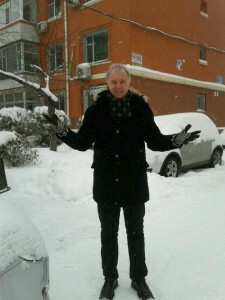 If nothing else it will be an experience to remember and it doesn’t snow everywhere in China – just up north! For more posts from me on China go here. She also says, “I never thought that I could make money off something given to me from birth! My voice has become an untapped asset that allows me to work flexible hours and earn income without leaving the comfort of my home”. It has nothing to do with building websites, filling out low paying surveys, or selling anything. I am talking about the voice over industry where people will pay you for using your voice. (If you’re curious as to what it is I’m talking about. You can take a look at my review of this product in another post). The voiceover industry is largely underrated and usually dominated by celebrities, leading most people to believe that ‘only famous people’ can earn significant amounts of money in the voiceover business, but that is not true. Almost anyone can become a voiceover specialist and inside this short video presentation, you’ll discover a huge billion dollar industry that’s hidden in plain sight, you’ll soon wonder WHY nobody has noticed it before. For more about the voice over industry see this link. If you have enjoyed this post about ‘how to teach English in China‘ please feel free to leave a comment or ask a question below or socially share if you found this post interesting. You are incredibly thorough. I had fun going through your post. Currently, I’m based in Thailand and I’m thinking of taking on a teaching post here as well. The opportunities are plentiful here as well. Though I’d have to say, that you’re far more likely to land a quality job if you’re a caucasian. Seems like folks in local hiring aren’t that good at spotting credentials. I know of several well-credentialed folks who got passed over for other folks on the basis of nationality. Hello, Paulo. Yes unfortunately it’s a fact of life here in China that what matters most is the way things look rather than the underlying quality. This is something you find out pretty quickly after living in China for a while. Overal though teaching English in a foregin countryis a great experience as you will get to experience the local culture in a differnt way and more closely than if you were a tourist. Thanks again for your comments :). Wow! What a great subject and in depth analysis on a topic i never really knew was a real opportunity. I still blown away by it actually. Not only do you talk about the opportunities, but you give information about China, and their climate, culture, visa requirements, etc. This is an awesome and well put together article. There are opportunities everywhere. Hi Peter. Excellent blog post! (and a great domain name by the way 🙂 ) I am running an online business as an Amazon Seller and have quite a few business contacts to Chinese manufacturers. I am not a native speaker of the english language, and therefore it is very important to me to have a business partner with solid english skills! I’m pretty happy with my partners. Yet, it is super exceiting to read how people like yourself teach those Chinese people english, hence making businesses like mine possible in the first place! Great read!!! Interesting facts. I’m from Croatia and knowing english language skills helped me in the Internet business. Today I work from home, chatting with people from all over the world. Although there is a Google translator, it is necessary to know the language because the results are usually not grammatically well arranged. Although my current situation won’t allow me to reside in China, but I thoroughly enjoyed my stay in China back in 2005 to 2007. I haven’t experienced rural side of China but lived in Shanghai the whole time, but foreigners were still greeted with curiosity back then. I’m not sure if it will be the same. I stayed as a study abroad student so I’m not experienced in job markets but I do have a bit of experience living there. Everything was pretty affordable at low costs. Only thing that as a foreigner may want to watch out for is getting ripped off. Other than that everything was pretty cool living there. Hello, Joon. Thank you for your feedback. 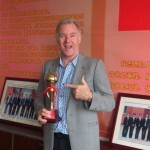 Yes, China is an interesting place, however, Shanghai is ‘not really’ China. It’s more like an international city with ‘Chinese characteristics’ ha ha. However, things are changing fast in China now as their economy begins to melt down and the cracks begin to show so it will be interesting times. The right things come along at the right time for the right people. With the dragnet closing down in Thailand on foreigners who are long terms stayers, China (warmer climate!) sounds great to me. Being there for show much better as I do have limited experience in Teaching (TEFL qualified but no degree) I might actually do well in China for a few years to learn the trade and get practical experience alongside someone else. Hello Derek, you are ‘well paid’ by Chinese standards and it often includes a variety of benefits, depending on the type of school or contract you manage to get. Even though salaries in China lower than in other parts of Asia, the cost of living is also much lower, so teachers can expect to live well. So somewhere between 8000 – 12000 RMB per month, but it also depends upon which area of China you are in as it could be a little as 6,000 but then that location living is also very cheap. Whereas big cities like Beijing and Shanghai you might get 16,000 – 20,000 RMB per month but the costs are also much higher, so it’s all relative. I like teaching here because it also gives me plenty of time to work on my internet business. So it really is a great situation and almost anyone can do if they want a year off from the distractions of the real world, experience another culture and have time to commit to building your internet business and get paid to live in another country. I can’t tell you how much I enjoyed reading your post! I did not know that English is so big in China and that teaching positions are in such demand. It is fantastic to have someone with your expertise and guidance for those who are seriously considering taking advantage of this opportunity. I found your story so interesting about how in some areas foreigners are treated like celebrities! I can’t imagine experiencing something like that (great for the ego though, and I guess the next best thing to being famous in Hollywood)! I have always been very interested in the voice over industry but have never known how to go about it. I really appreciate your honest review of VO Genesis – it’s something I’m definitely going to keep in the back of my mind! I’ve lived in China for a couple of years and definitely needs more English teachers there. Like real native English speakers. But like your article says, one needs to be careful when embarking on this path. Many of my friends have had their contract “accidentally” cancelled, salary not given or other issues. When that happens, one would feel quite lonely facing a large wall with no understanding of the local language. Be sure that you know what you’re getting into. And also, the expats in China are like a family. It is important to get in touch with the expats in the city where you will be teaching. 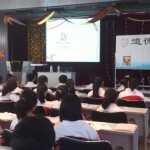 Teaching English to Chinese people is a great idea. I have a friend who did that a couple of years ago, and I think it was an amazing experience for him. I don’t know any Chinese word, so this might be an opportunity to learn some and give some knowledge in return. Getting that much attention just for being a foreign person is something to try. Interesting article. I enjoyed the read. Hello Imad I am pleased you enjoyed the post and thank you for your comments and yes it is interesting getting attention just for being a ‘foreigner’ This doesn’t happen in the big cities though, just the smaller ones and many rural places and in terms of experiences you certainly get your share of those. :). This was something I was always interested in. I was going to get my TEFL and all of that jazz. I never ended up following through unfortunately but reading this post kind of revived that idea, hahaha. I have looked through and read your profile and found that you clearly know what you are talking about and I have also read through other posts and it is really really good and very informative so well done on this great website. Hello Peter I loved the videos you have posted on this page and I found the whole page and content information very informative and learn a lot and want to thank you for the resources you have provided. now this is an intersting read, because the fact is, one day I want to learn Madarin, and this is something that I could potentially do in the future! I think that its pretty cool that you are treated like a rockstar just because of the simple fact you are a foreigner, id love to experience that one day! That was an incredibile read, i never knew there were so much to look out for if looking to work as a teacher in China. Your page is a Necessity for people looking to work over in China. The images you have added of yourself really make me gain your trust, and i can tell you know what your talking about. Excellently written. very accurate, descriptive and an A to Z on Teaching English in China. English is my second language but I love to learn language. I have learned so far a couple. English is my favorite language. You have very rightly brought out the facts of Chinese people, they are very gentle and gifted with pleasant behavior which create a cordial atmosphere between a teacher and student. The post is not only covered each and every aspect of the subject but also you have made it interesting and engaging by adding some beautiful nature’s scene. Well done, keep it up. Excellent! Although it was lengthy, I found myself compelled to keep reading. I’m not a candidate for, Teaching English in China, but enjoyed all the information you provided. Interesting & thoroughly informative read. I will be looking into you VO Genesis review shortly. Thank you for being so helpful and sharing your experience! I hope anyone considering this comes across our site, first. A perfect Guide to Becoming an English Teacher in China. Great advice to folks who are considering going to China to teach so they don’t get duped by third parties, or get any surprises once they get there. I had the same question as another person who commented about knowing how to speak their language. I think that is fascinating that it isn’t really required. Sounds like you are living quite the adventure. Good luck with it. Great post Peter! Teaching English in China would be an amazing experience. I know that I would love to integrate into the culture. It would be a great opportunity to learn so much about their way of life. You know what they say, the best way to learn is by teaching! This is a grear read Peter and I can definitely relate to the wow factor. When I was in Japan, the same thing happened. People would treat me like a celebrity just based on my different appearance so I had a giggle when you outlined your experience in smaller Chinese villages. Such an interesting post. My Mum used to teach english as a foreign language to business men where I grew up in singapore. A lot of these were chinese, so this is an interesting topic to me. I have never been to China, but it is one of those places I would like to go. And teaching is something that is interesting to me. I had never thought about combining them, and you make it sound like it could actually be possible as a career move with the right training. A very informative article. In my 20s I went to teach English in Spain – not quite as far away as China, but an amazing experience I will never forget, which not on,y paid well, but gave me the opportunity to travel extensively round Spain and really get to know the real country. 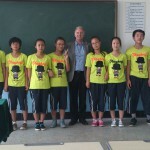 I have friends teaching English in China. They went over there before they married and re now married with 2 kids, and continue to be treated like rock stars as you say. Another advantage I’ve seen from their lifestyle is the opportunity to travel in that part of the world. So accessible and affordable to them right now. Yes teaching English in China is an amazing experience, you get to witness an interesting culture, sample delicious cuisines, indulge in an adventurous and exciting lifestyle and yes Foreign English Teachers are well respected in the community and you you are â€˜well paidâ€™, by Chinese standards and it often includes a variety of additional benefits, so teachers can expect to save a significant portion of their salary and do a bit of traveling. 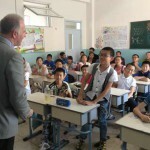 Teaching in China can be a very rewarding and life changing experience and if it’s a ‘fit’ then its well worth it Thanks for your comments 🙂 . This is an awesome article, teaching English has always been my plus side wherever I go. While I was living in France, I had no qualifications whatsoever to earn some extra income so I taught English and was able to earn a living there and the people are very nice too. I’m planning to go to China this December and live there for a month with my uncle, this article helped me greatly. Thanks for taking the time to write this! As an English speaker who has travelled many times to China, I can offer the following observations. First, their Chinese are an extremely friendly people and make visitors feel very welcome. Many of them already know English and are very interested in practicing their skills with native English speakers.Finally, they love it when you practice your Chinese, no matter how limited, with them. What a great, informative article. I used to teach Chinese students at a university in the UK and they are a pleasure to work with. They take studying very seriously and have a high respect for their teacher (sometimes even too high, as whenever you make a mistake they’ll never point it out to you). 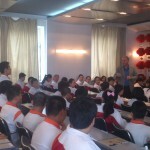 I only taught in China for 2 weeks and although it was Shanghai I was still treated like a rock star, and it rocked! Incredible opportunity here for those interested in both travel and teaching! The information here is substantial yet poignant. Everything you need to know about how to make this a reality! The author even has personal experience, and offers to help you with any roadblocks. Have you learned Chinese in the process? Best of wishes. Geoff. Hi Peter. I have friends, Canadians, who taught English in China and Japan and told me they loved the experience. It took them some time to learn the new culture but they adapted eventually. They shared with me almost the same information you mentioned in your blog. Very informative and thorough article especially that I do academic advisory to international students myself. I also liked your recommendation on TEFL and TESOL as well as the layout of the content.. Great article. Very interesting stuff, Peter! I have always been interested in Chinese culture myself, and my best friend from college currently is teaching English in China. All that to say, this is something that I have considered doing from time to time. One question though: do you recommend any degree of familiarity with Mandarin? I have never seen these universities, and so have no idea what I would have to expect in terms of how well I could get around and teach effectively just knowing English.